The North Shore Medical Group is excited to announce the launch of North Shore Homecare Services (NSHS), whose aim is to deliver medical services directly to patients in the aged care sector. The NSHS Outreach programme allows elderly residents at home, living independently, in aged care facilities or in hospital to access medical services using an innovative combination of personal management and telehealth. Through the Outreach programme, residents can access medical providers, allied health providers, welfare service providers and recreational service providers. 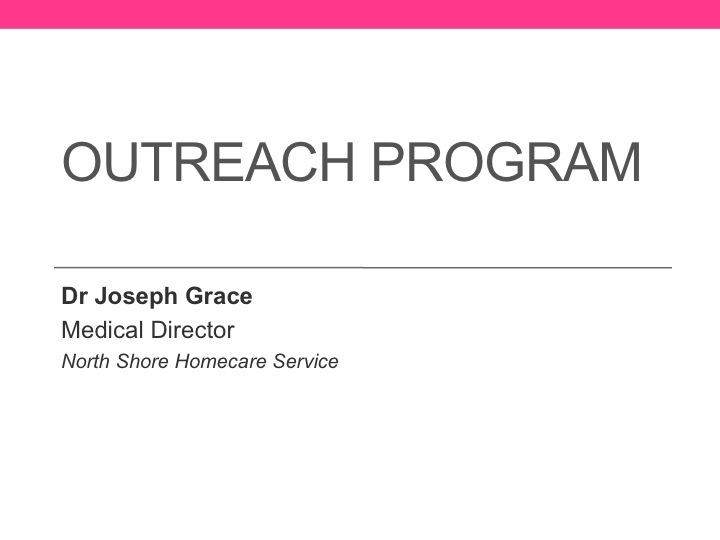 Copyright © 2019 Homecare - North Shore Medical Group . All Rights Reserved. NSVC is a registered trademark of the North Shore Medical Group Pty Ltd.